Rice doesn't miraculously come from exotic countries like Thailand or Japan, nor does it grow on supermarket shelves; rice is grown from the land. White rice, red rice, brown rice, and glutinous rice are products of an arduous and labor-intensive process. From sowing, to watering and fertilisation, to weeding and pest control, farmers dedicate an unthinkable amount of time and energy to put food on our tables. Only after the complicated processes of separating the husk from the spikelet, and then grain from the husk, can a bowl of rice finally reach us at a restaurant or at home. After going through so much, the only wish of a grain of rice is for people to empty their bowls and to not waste food. Let's show our appreciation to the farmers who feed and nourish our bodies. 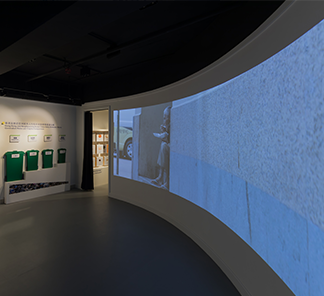 Please visit our Foodstep Journey experience centre to learn how much work it takes to grow rice. 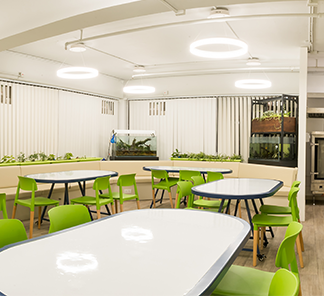 Foodstep Journey is the first experience centre in Hong Kong that advocates the virtue of cherishing food and caring for the community. 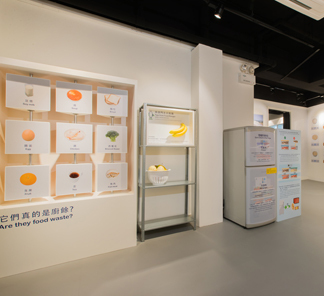 During the journey, participants will be introduced to interesting facts about‘Food Smart’, as well as issues of food wastage and elderly poverty in Hong Kong. Hong Kong produces 3,600 tonnes of food waste every day, 2/3 of which is generated in households. This amounts to 0.33 kg of food waste per person per day. At our centre, participants will become Rice Warriors and will challenge themselves to reduce their individual wastage. Through interactive games, virtual reality films and other activities, Rice Warriors will experience what‘No Pain, No Grain’really means and reflect on their responsibilities. 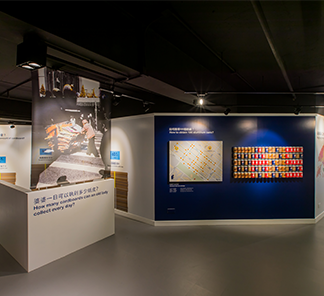 In addition to statistics related to food consumption in HK, Foodstep Journey also showcases the dire living conditions of Hong Kong's elderly population and how they struggle to make ends meet. It is our hope that participants will be more conscious of the less glamorous issues plaguing our dazzling city, and we hope this experience will ignite in them compassion. Let's practice‘Waste Not . Hunger Not . With Love’together! 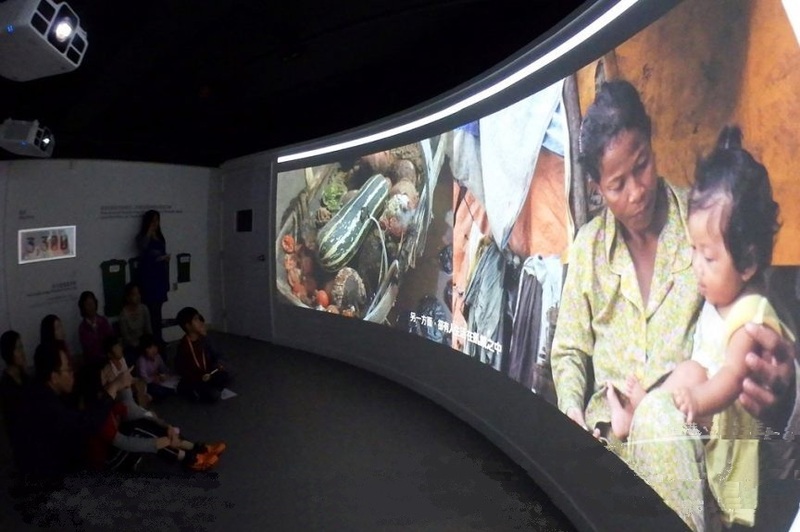 A 270 °angled screen will present background information related to the global food crisis, its causes as well as its consequences. Shocking statistics and facts mark the beginning of our 'Food Smart, With Love' journey. 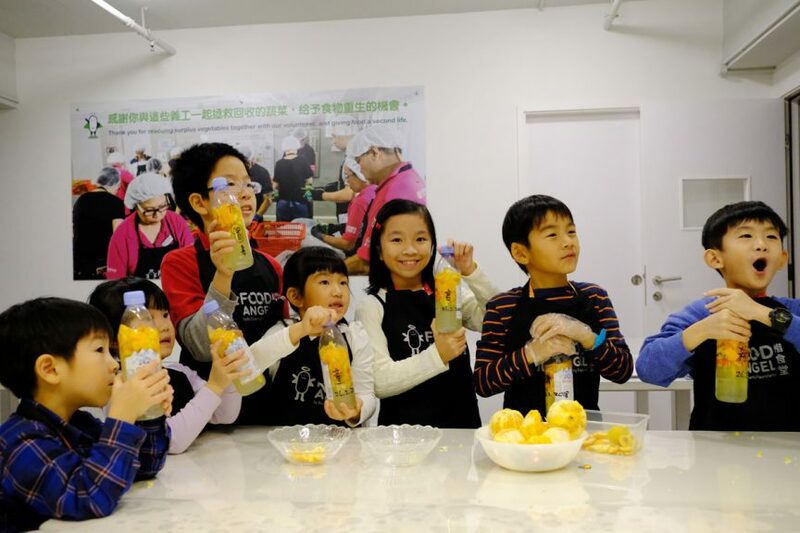 Through experiential learning, we hope our participants will lean to reflect on Hong Kong's serious food wastage problem. This area covers often neglected food treatment processes such as food storage. 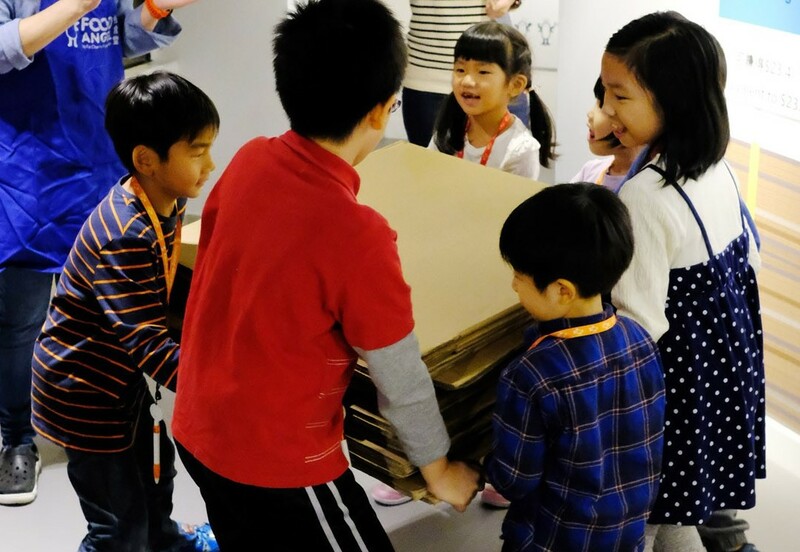 Participants will learn how to utilise unwanted food parts through interactive games. 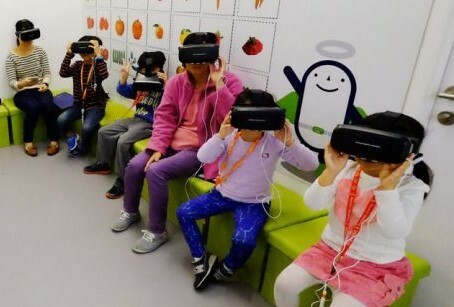 Through watching VR films in our VR designated area, participants see the world through the eyes of different food groups and they experience first-hand the unfortunate process through which large amount of edible food are wasted. Under the guidance of elderly volunteers at the elderly center, participants will rescue vegetables collected from our food donors. Food Angel will use rescued food to prepare hot meals for members of the community center. Participants will have the chance to interact with the elderly and to listen to their life stories, through which they will learn the true value of cherishing food. What is it like to live in a subdivided flat? Any idea how small that would be? How much cardboard does an elderly person have to collect in order to afford one single bun? And how many aluminum cans would be enough to buy a lunch box of rice with barbecue pork? Participants will experience the life of an elderly person who makes a living collecting scraps and will learn to analyze the issue of elderly poverty. A group of elderly community members living in Sham Shui Po enjoying meals cooked with rescued food. We welcome appointments from full-time institutions, social services organisations and youth groups. Student tickets are available to individuals aged 5 to 24 (on the day of the event). We encourage families to participate as this tour provides “quality time” for parents and children to communicate. Children participants should be 5-15 years old (on the day of the event). Each child shall at most be companied by two guardians. Remarks: Registered charitable organisations under the section 88 of the Inland Revenue Ordinance can apply for partial fee waiver. Special Sessions are designed for individual families. 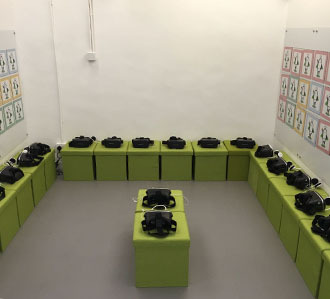 Each session can accommodate more than one family (minimum one adult and one child each family). Children should be aged 5 to 15. 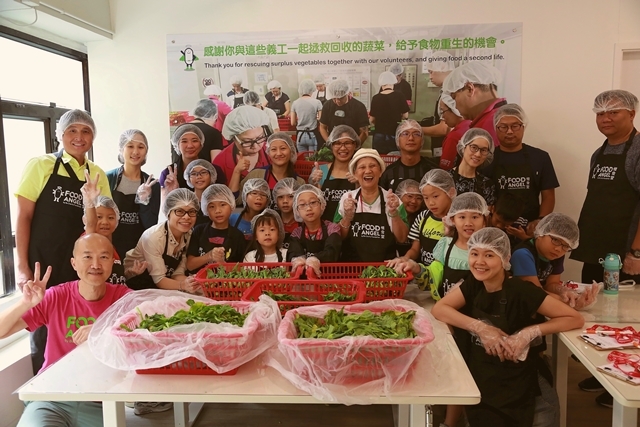 Content: Visit experience centre and sort the collected vegetables together with elderly volunteers. Reservations are on first-come, first-served basis. 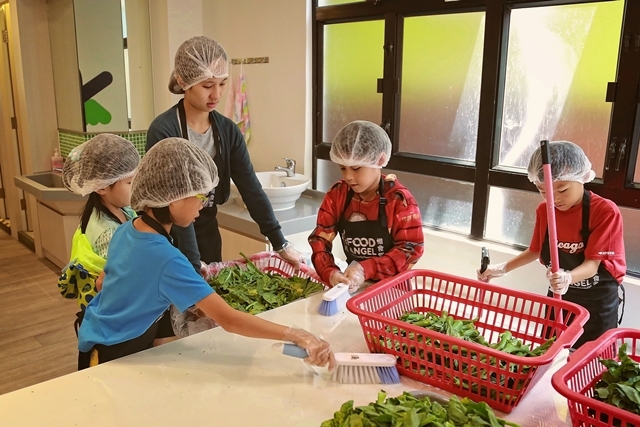 Food Angel is a sustainable Food Rescue & Food Assistance Programme launched by the Bo Charity Foundation in 2011 with the ultimate goal of achieving 'Waste Not . Hunger Not . With Love'. Food Angel is committed to recovering edible surplus food from the food industry. Following strict safety protocols, the rescued food will then be prepared as nutritious hot meals and food packs, and distributed free of charge to the needy by our logistics team. 'I find this organization very meaningful as it eases the burden that the elderly have to cope with.' Form 3 Secondary School Student . 'The thing that stuck with me the most was the weight and amount of food waste each person wastes every day.... It saddens me to see that in developed first world countries there are such problems such as poverty and hunger' Risa from Singapore. 'Thank you guys for the wonderful educational experience! 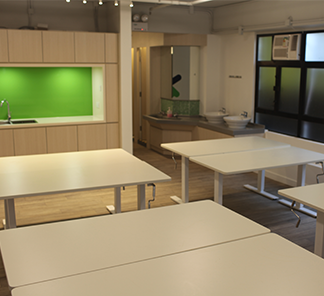 I feel motivated to volunteer at a food shelter nearby in Singapore! I realise the importance of saving food and reducing food wastage.' Glenden. I feel that everyone in the world can have enough food to eat if each and every one of us do not waste food, or at least try our best not to waste our food. I learned I need to spread kindness.' Form 5 Secondary School Student. 2019 © Bo Charity Foundation Ltd. All rights reserved.